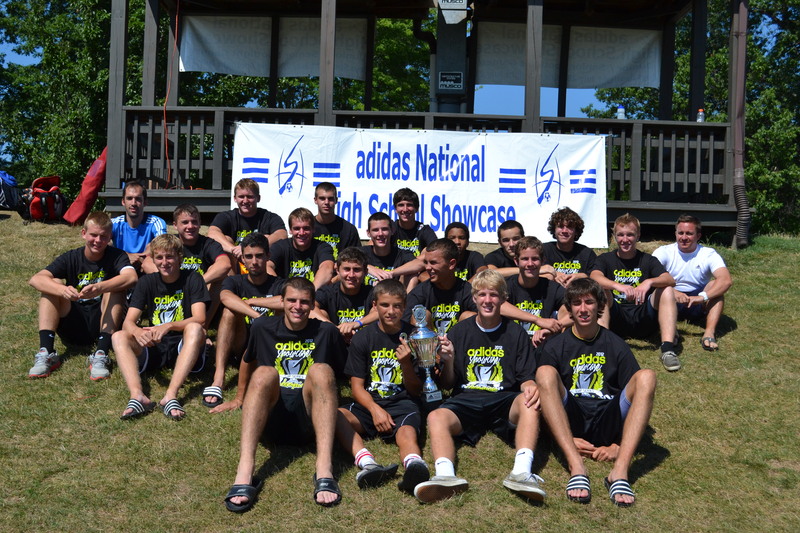 We’ve added a number of pictures from last year’s Boys Showcase weekend—Check out our full gallery of photos, or take a look at the new ones below! 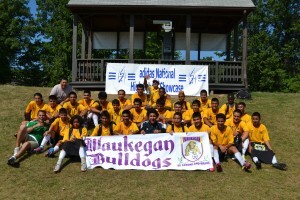 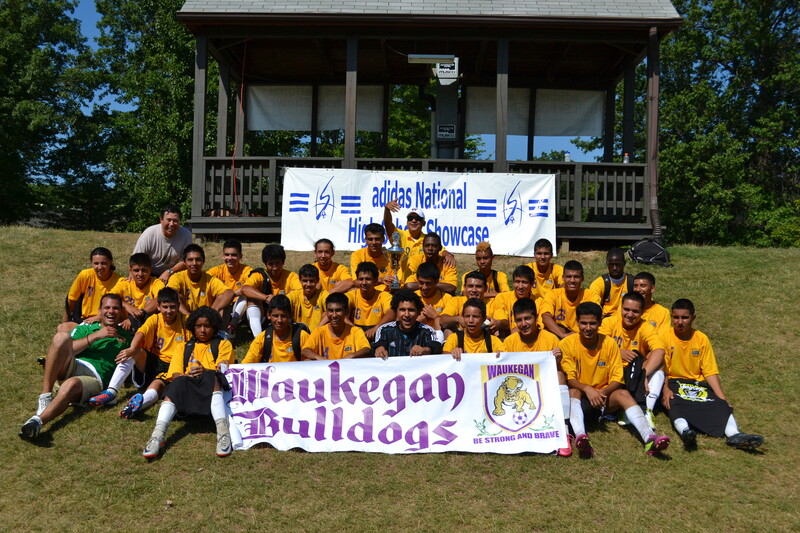 Congratulations to the Waukegan Bulldogs (Waukegan, IL), winner of the Boys Predator – Pure division adidas Gold Cup after defeating Springboro (OH) 1-0 in the finals. 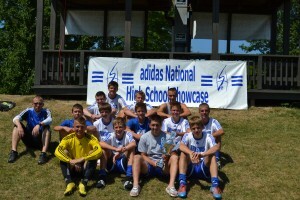 Congratulations to Olentangy (OH), winner of the Boys Predator – Pure division adidas Silver Cup after defeating Loveland (OH) in a shootout 1-0 in the finals. 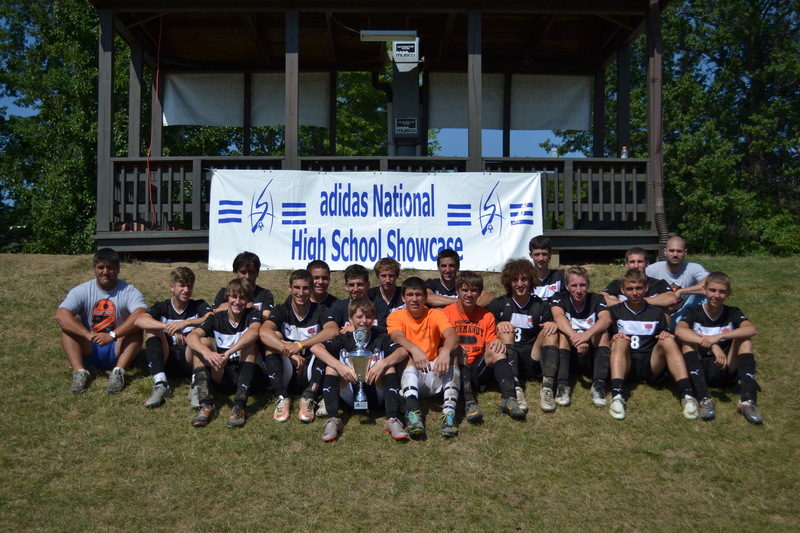 Congratulations to the Normandy Invaders (OH), winner of the Boys Predator – Pure division adidas Bronze Cup after defeating the Shaker Heights Raiders (OH) 1-0 in the finals. 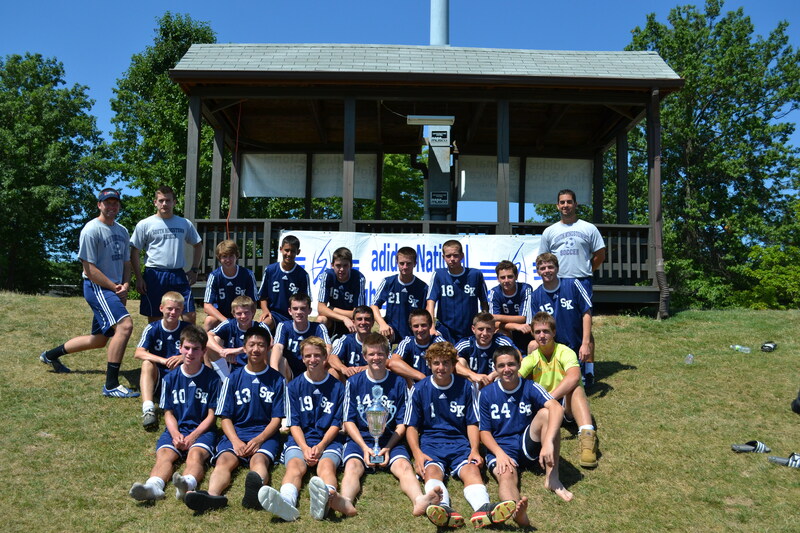 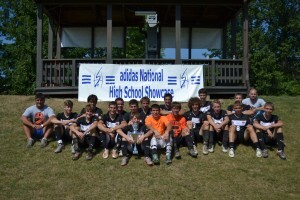 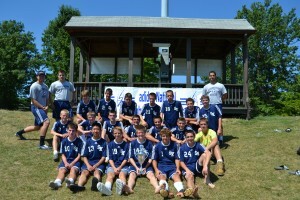 Congratulations to the South Kingstown Rebels (RI), winner of the Boys Copa Mundial- Adi Zero division adidas Gold Cup after defeating the Elyria Catholic Panthers (OH) 1-0 in the finals. 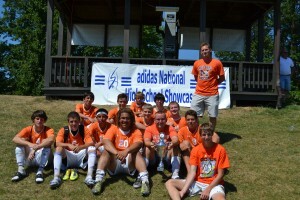 Congratulations to the Brunswick Blue Devils (OH), winner of the Boys Copa Mundial- Adi Zero division adidas Silver Cup after defeating the Sidney Yellow Jackets (OH) 1-0 in the finals. 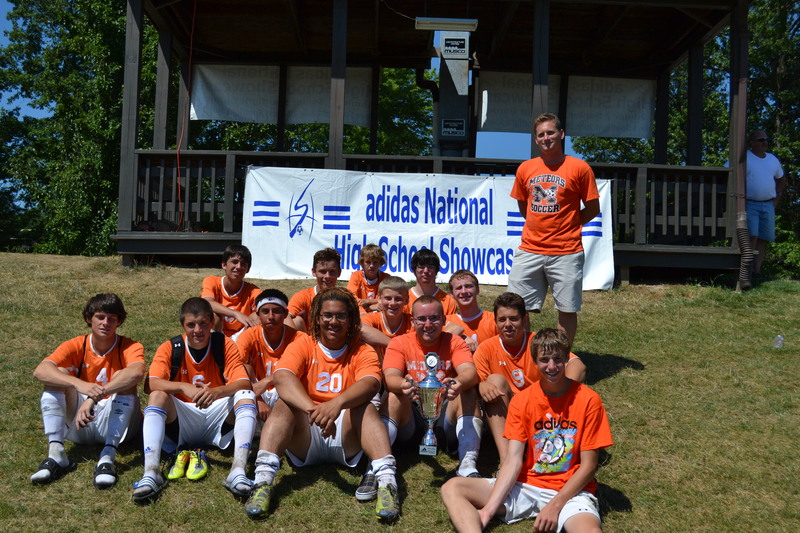 Congratulations to the Midpark Meteors (OH), winner of the Boys Copa Mundial- Adi Zero division adidas Bronze Cup after defeating the Corning Bobcats (NY) 1-0 in the finals. 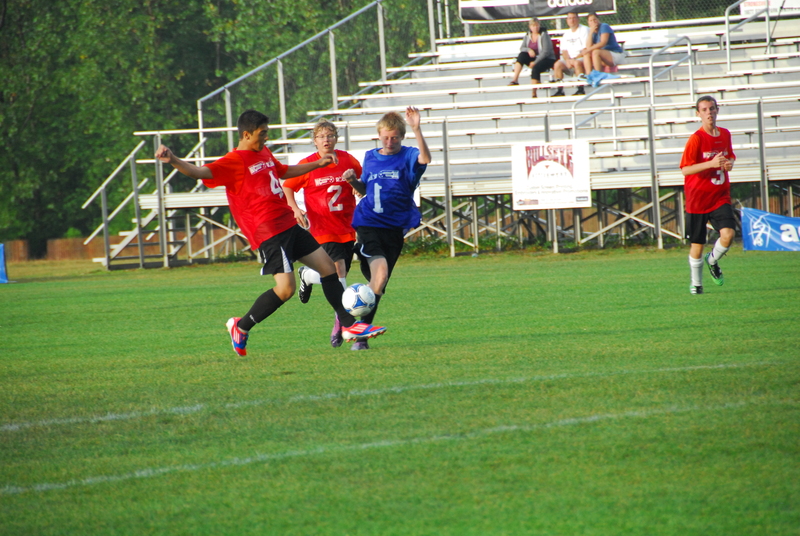 Dodging the rain in the Boys Freshmen Top Flight Game Friday evening on the Championship Field at the Ehrnfelt Soccer Complex. 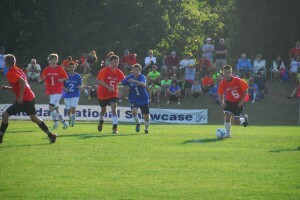 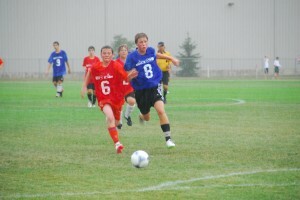 The weather improves and the sun shines on the future stars in the Freshmen Top Flight game. 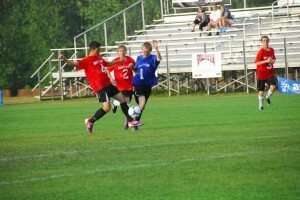 Intense competition in the Boys Freshmen Top Flight Game Friday Evening under the lights at the Ehrnfelt Soccer Complex. 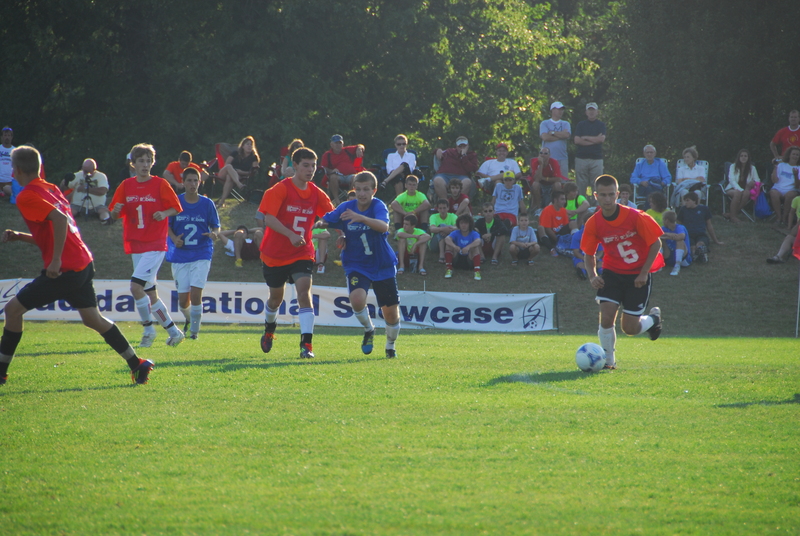 Mother Nature smiles on the Boys Freshmen Top Flight Game Friday Evening. 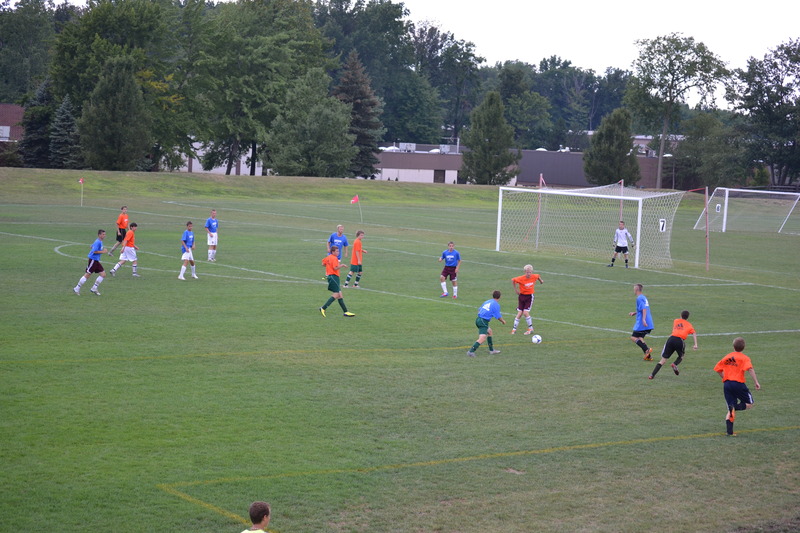 Expert instruction: Coach Reid Ayers (Baldwin-Wallace University) and Coach Mel Mahler (St. Bonaventure) provide training in the Sophomore Clinic session on Saturday morning. 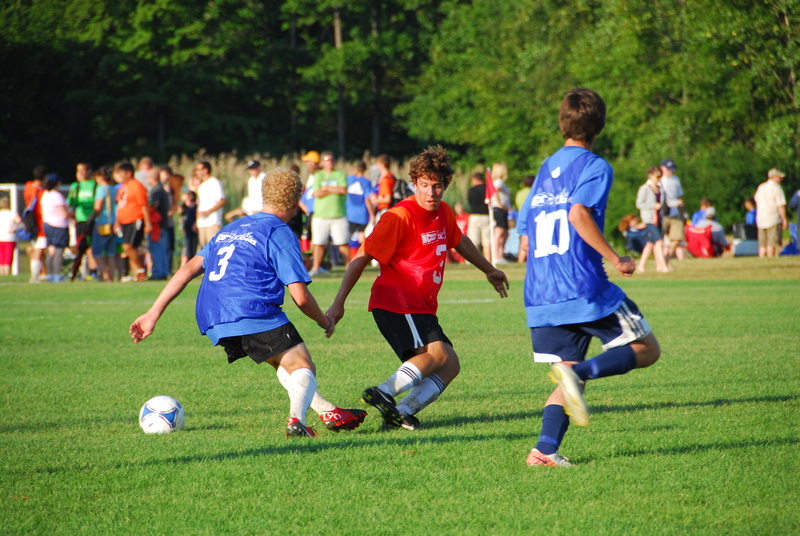 Boys Sophomore Clinic Game Saturday Evening on the Championship Field at the Ehrnfelt Soccer Complex. 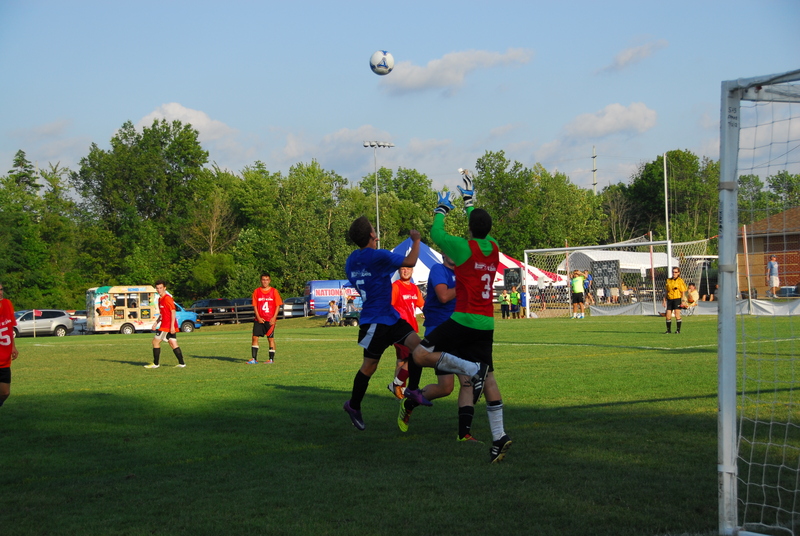 A goalie fights for position against two attackers in the Senior Spotlight Games on the Championship Field Saturday evening. 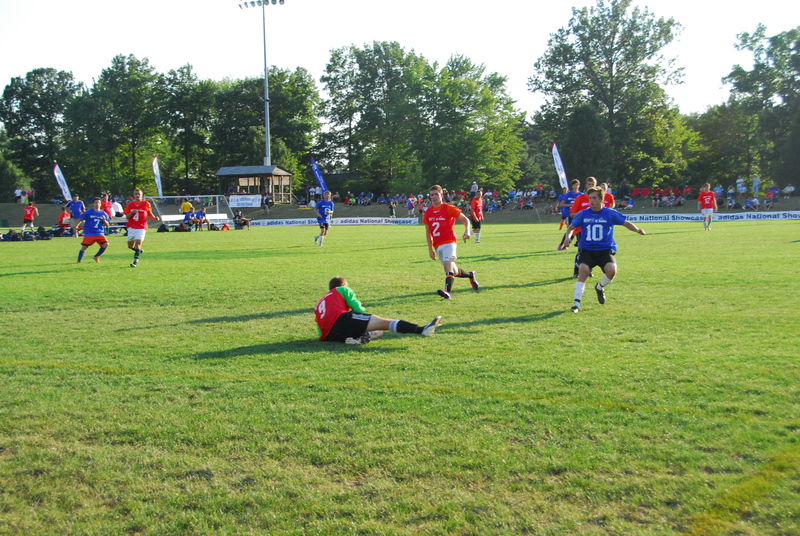 The battle for the ball… Senior Spotlight Games on the Championship Field Saturday Evening. 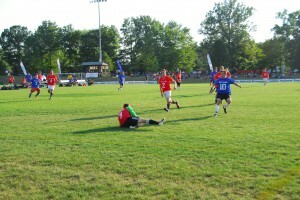 Seniors show their skills during the Senior Spotlight Games on the Championship Field Saturday Evening. 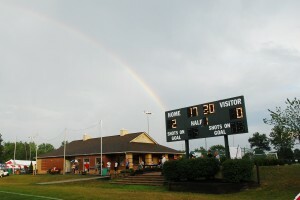 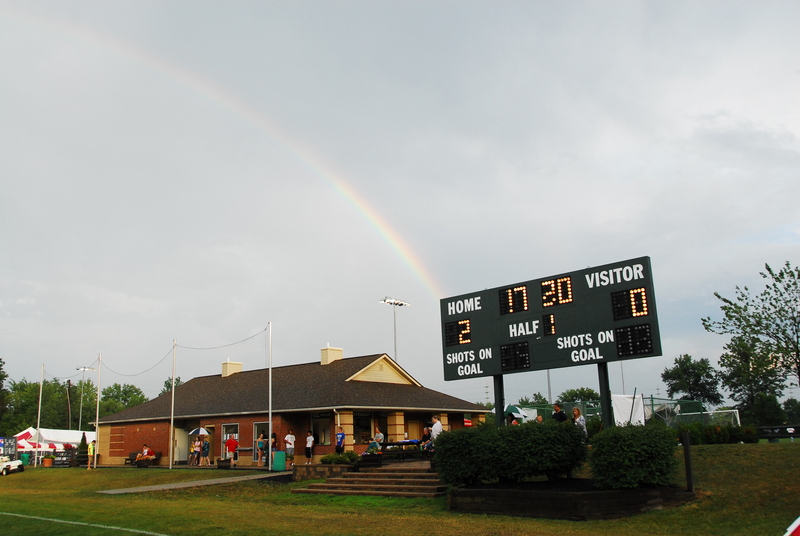 Spectators and coaches line the field to watch the Senior Spotlight Games on the Championship Field Saturday Evening. 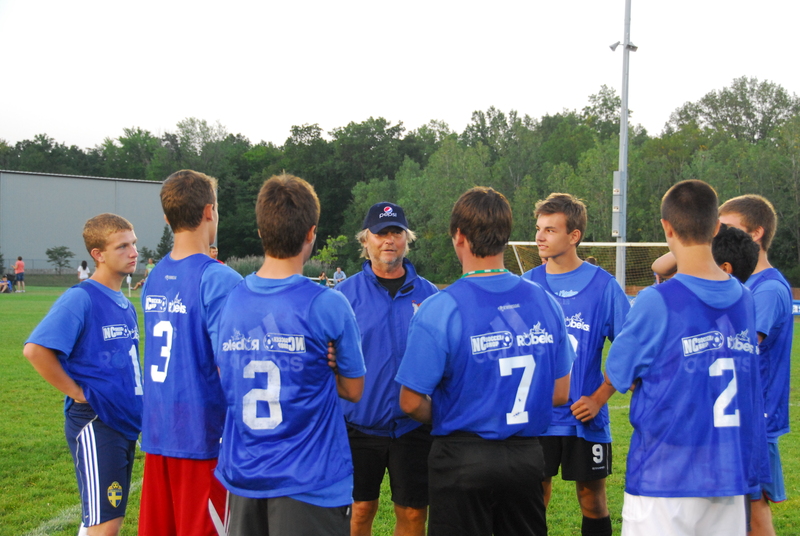 Coach Les Szabo (Strongsville) gives final instructions to his group of Seniors at the Senior Spotlight Games on the Championship Field Saturday Evening.